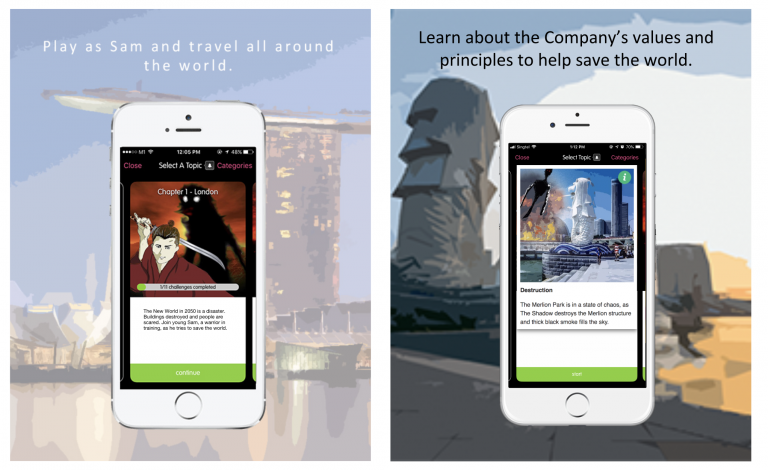 An electronic commerce and internet company launched “A Ninja Quest”, an interactive app powered by Gametize, to introduce the company’s foundational values and principles to employees in their Singapore office. 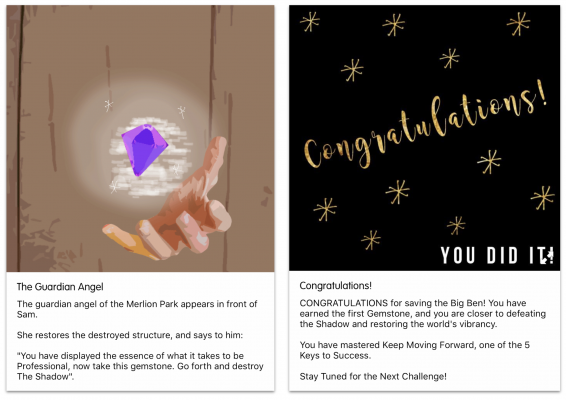 More than 250 employees embarked on an adventure to search for clues, solve riddles, and overcome obstacles in a gamified campaign that saw a high completion rate of 84%. The company’s office in Singapore was looking to deliver their values and principles in a way that was more in line to the nature of the foundations themselves. Previously, the employees learned of the company’s culture and values through booklets and slides. The company had acquired multiple sister companies and wanted to use this opportunity to educate new employees, refresh and realign current employees on the company’s values and principles in a fun and engaging way. The company wanted to capture interest while enhancing the experience of Players by creating a storyline with a strong narrative and visuals. Thus, “A Ninja Quest” was born. Players would join a ninja called Sam on a quest to save the world by learning about the company’s values and principles and to complete interactive Challenges throughout. “A Ninja Quest” consisted mostly of Flashcards, multiple choice quizzes, open-text challenges, and QR Code challenges. While the incorporation of other Challenges was considered, Flashcards and Standard (open-text) Challenges were observed to be the easiest for users to understand the storyline. With the use of QR Code Challenges, players were able to explore the different divisions of the company which encouraged interactions and conversations between users. One ultimate winner with the highest score across the entire game received a sponsored trip to go an a tour with the co-founder of the company, and a walk through of company’s history and principles. Thanks to the highly-involved and creative game Administrators, “A Ninja Quest” was a fully immersive narrative complemented by strong visuals and copywriting had a mostly positive reception with employees. This made “A Ninja Quest” truly stand out from other projects and this was reflected in the high number of completions and high completion rate, with 253 players making 8,436 submissions to result in an average completion rate of 84%. This was made possible in part due to the clever use of GIFs to promote upcoming challenges that helped to increase the ‘hype’ prior to the challenge launch and the high involvement of the game Administrators to keep hype and activity for the game running during the 3-month campaign. 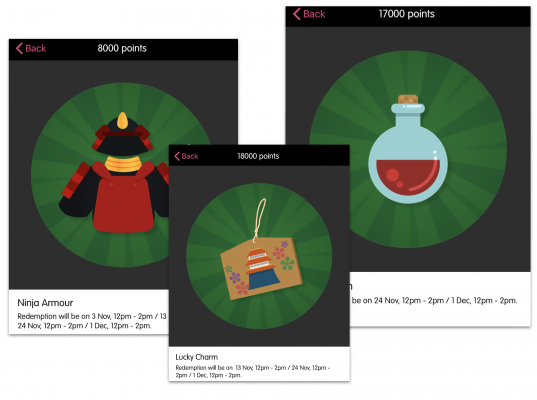 The company’s Singapore office believes in gamification as a solution and wanted to show other teams how it could be done. They used “A Ninja Quest” to show other offices how to successfully gamify the company’s common values and principles, even given limited resources and budget – and other company’s offices took notice!